background check, Criminal Background Check, Criminal Background Checks for Employment, employee criminal background check Comments Off on Why is a Criminal Background Check Necessary Before Hiring Employees? Hiring someone who is unsuitable for particular roles in your company can cost you a lot of headaches and money down the road. It can also ruin the credibility of your business. Make it a point to conduct a criminal background check for employment if you are serious about hiring smart. This is the best way to avoid taking on people that have been convicted of fraud, theft, or other crimes. A professional agency can run criminal record checks on your behalf so that you can save both effort and time in processing job applications. Background check companies like AGoodEmployee.com can provide instant searches for criminal records. Keep in mind though that you can also request a more thorough and enhanced record check of a person’s full criminal history at a county level. Police and government agencies usually use criminal background checks at this level. This can often capture information you might not normally see from an online instant criminal search. Although it takes a couple days to pull criminal reports at this level, thorough checks are valuable for businesses and work settings that involve interactions with kids or vulnerable / at-risk adults. Be sure to choose a company that can provide instant criminal database searches so you can identify red flags right away. A criminal background check for employment can reveal data on federal criminal records, fraud, sexual offences, abuse, and more. Instant criminal background checks also show histories of felonies and misdemeanors. Such a tool can be an effective preliminary checker for criminal history, showing alerts for robbery, murder, assault, crimes against minors, state tax violations, drug-related crimes, and even traffic violations. Note that due to differing state laws, classifications for felonies and misdemeanors may vary. Local privacy laws as well as timeliness of updating can also affect results. If you’re hiring smart for particularly sensitive positions, it might be a good idea to run a county court search manually. This may reveal records that haven’t been uploaded to the state database. 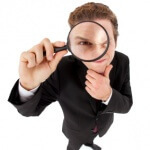 A professional background check company can help you with your requirements. Work with a provider like A Good Employee that goes beyond just checking basic information—you want them to dig deep to spot inconsistencies and ensure that your potential hires (and existing employees) are who they say they are. The best providers can offer custom pre-screening services based on your needs. You can count on them for verified and timely pre-screening as well as employee re-screening.